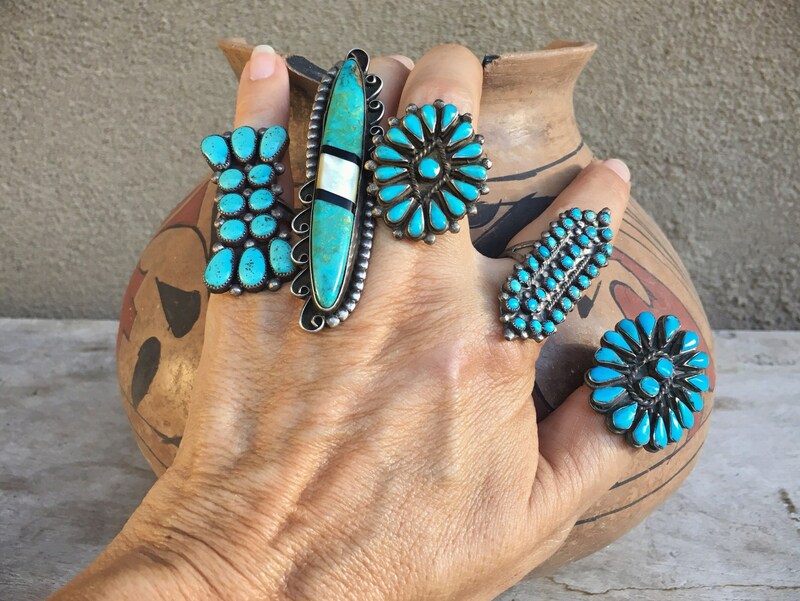 In the past several years Old Pawn turquoise has become increasingly hard to find, so imagine my delight when I came across this old ring made with gorgeous authentic turquoise in shades ranging sky to bright blue. 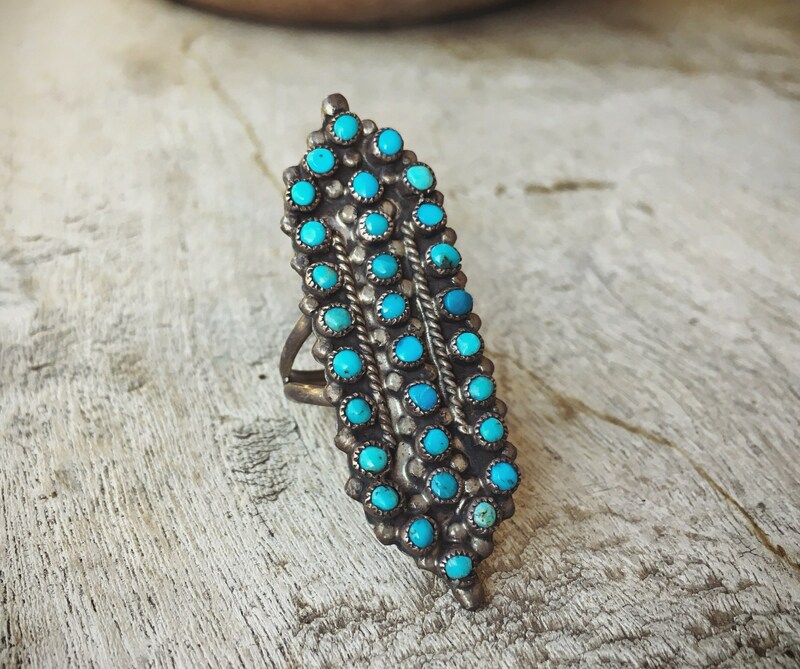 And the shape, which in Native American jewelry is sometimes called a "knuckle cover" ring as it often covers the knuckle on the finger worn. 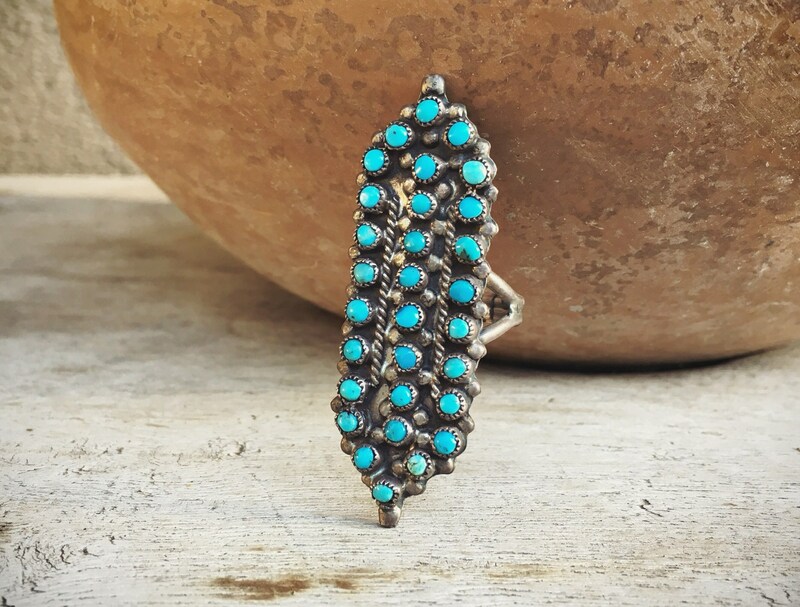 It's also called a "long ring." 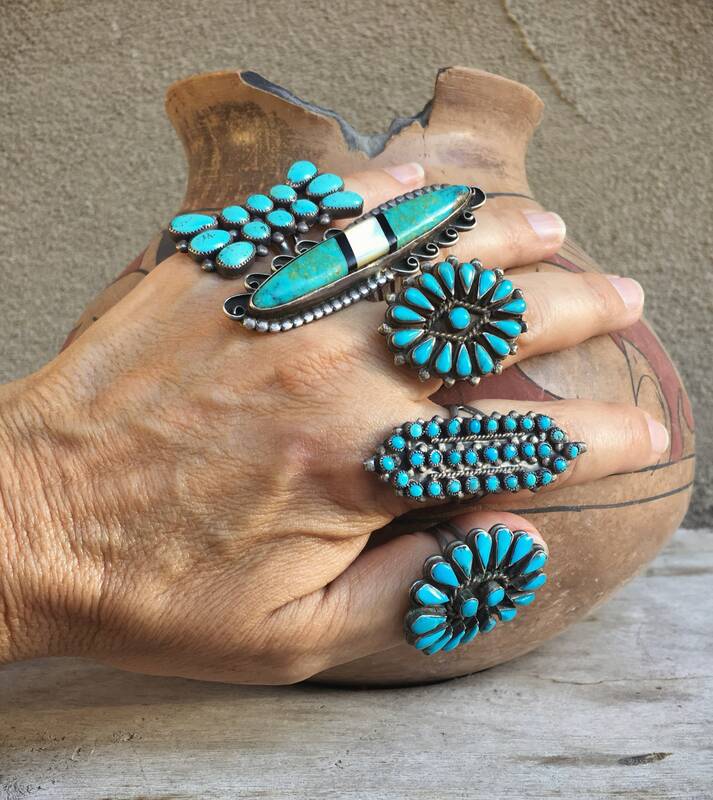 And the 30 small roundish pieces of turquoise--all hand cut and shaped to fit into sawtooth bezels--those are called "snake eye" settings. 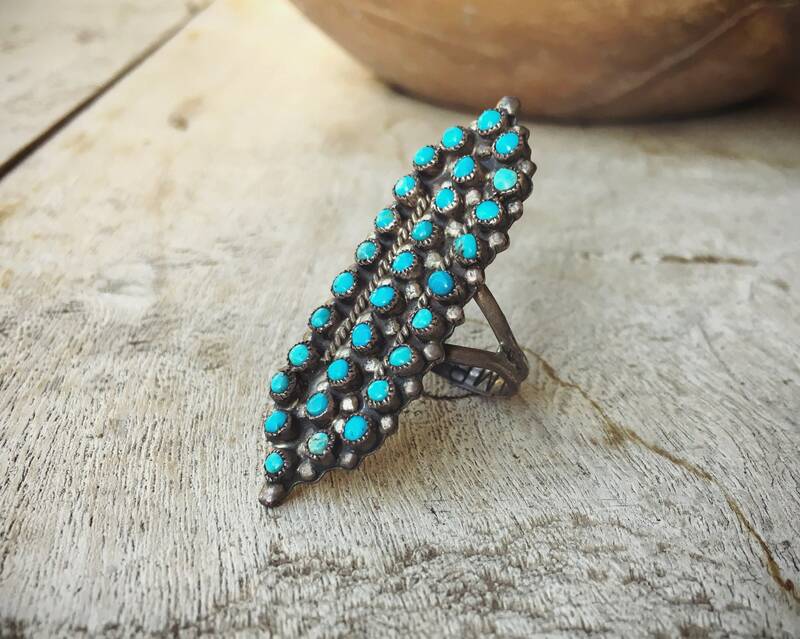 Zuni Indians are known for snake eye, and this ring is from an era--circa 1940s to 50s--when rings were not signed. 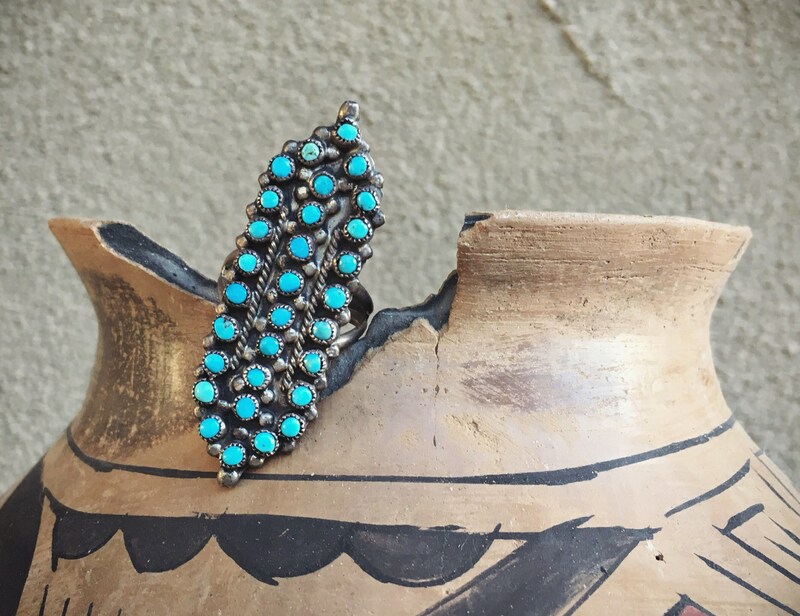 But the old pawn shop from which the ring came did have written in black marker "Zuni" on the back. 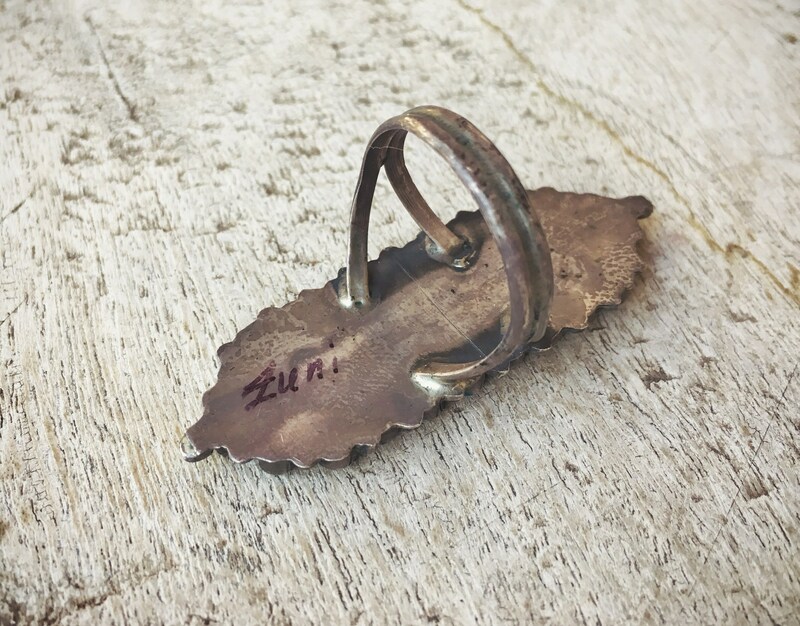 The double shank in not thick although it is a larger size, and it is al hand forged, as we can see the shaping and filing. 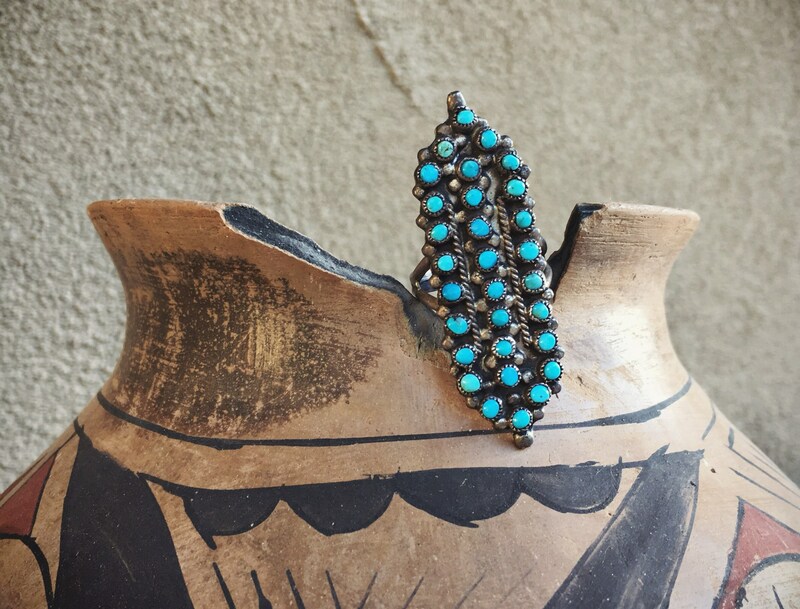 It is not sterling silver content but rather something between 800 and 900, which we call "coin silver" and which was common in the day. 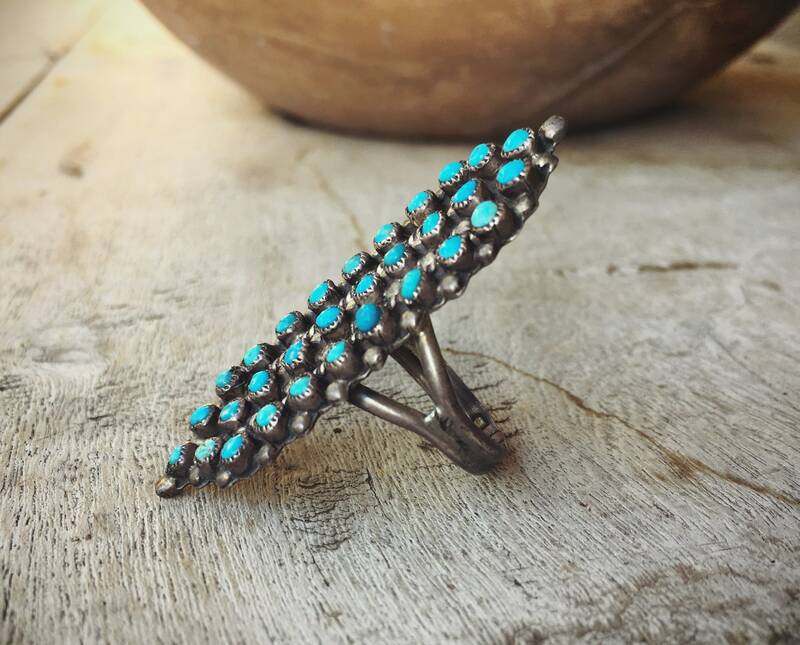 Today this ring is more valuable than new rings with just as much turquoise, both because the turquoise in his ring is high grade US turquoise and all hand shaped, but also for the workmanship that went into a piece such as this. 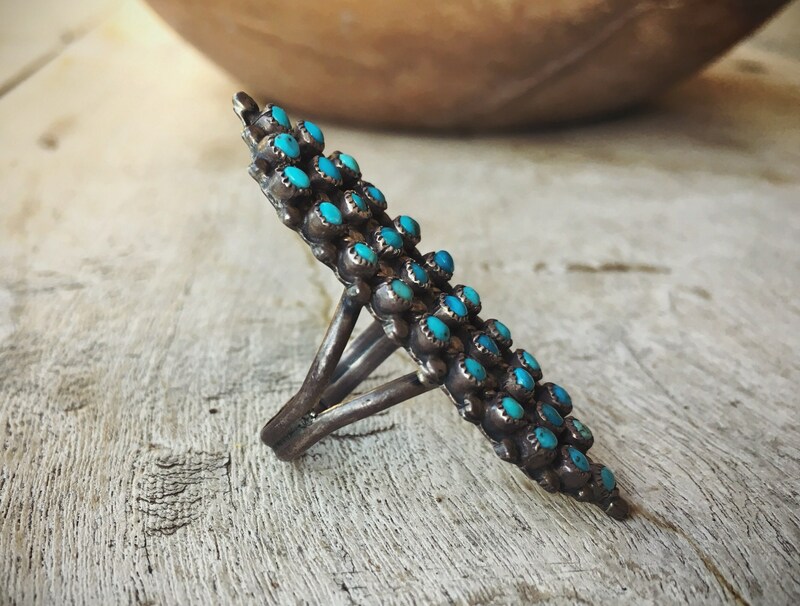 The ring face measures 5/8" across at the widest point by about 2-1/8" long and the 30 turquoise cabs are all just under 1/8" in diameter. The ring shows as a size 10 on the mandrel and given both the age of the ring plus the fact that to resize all of those cabs would have to be taken out, I do not recommend re-sizing. Truly vanishing piece of history. Love - beautiful, always a great experience - thank you!